Jeremy Logan is an “enigmalogist”—an investigator who specializes in analyzing phenomena that have no obvious explanation. 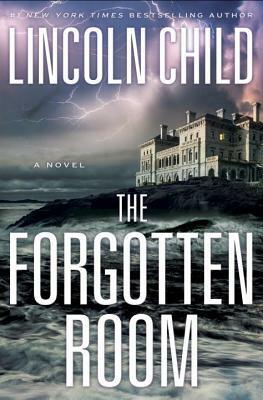 In this newest novel Logan finds himself on the storied coastline of Newport, Rhode Island, where he has been retained by Symposikon, one of the oldest and most respected think tanks in America. Just days earlier, a series of frightening events took place in the sprawling seaside mansion that houses the organization. One of its most distinguished doctors began acting erratically—violently attacking an assistant in the mansion’s opulent library and, moments later, killing himself in a truly shocking fashion. Terrified by the incident and the bizarre evidence left behind, the group hires Logan to investigate—discreetly—what drove this erudite man to madness. His work leads him to an unexpected find. In a long-dormant wing of the estate, Logan uncovers an ingeniously hidden secret room, concealed and apparently untouched for decades. The room is a time capsule, filled with eerie and obscure scientific equipment that points to a top secret project long thought destroyed, known only as “Project S.” Ultimately, the truth of what Project S was . . . and what has happened in that room . . . will put Logan in the path of a completely unexpected danger. I love a good thriller and Lincoln Child did not disappoint. I’ve been reading Child’s books for a long time and his work with Douglas Preston is one of the reasons I love paranormal thrillers. The wonderful thing about their books is you never know if it is going to be paranormal until the end. Sometimes the events point to a paranormal cause, but end up being explained by something totally different. They always keep you guessing. The Forgotten Room was no different. The opening chapters had our protagonist, Jeremy Logan, visiting a creepy old manor to investigate a gruesome suicide in order to determine if there were additional factors involved. The description of the manor, as well as the suicide video, instantly set the mood for a creeptastic romp. Logan and the cast of characters were odd and intriguing. The science and architecture bits were very interesting. There was plenty of meat for the techno-reader as well as the super-sleuths. The pace was fast, and I don’t remember any lulls in the action. I’ll admit some of the plot devices were a bit cliché, but there were plenty of surprises along the way as well. Creepy, edge-of-your-seat reading. If you like thrillers & mysteries, this one should be on your TBR list. By the way, this is the 4th in the Jeremy Logan series, but you do not need to read the others to enjoy this one. It completely stands alone. I’d like to give a shout out to Edelweiss, Doubleday, and Lincoln Child for giving me the opportunity to read and review this ARC.